Notice - By signing this document you may be waiving certain legal rights, including the right to sue. Please read thoroughly before signing. If you have any questions please ask us or consult an attorney. The presence of uneven terrain is a fundamental aspect of rock climbing, ice climbing, mountaineering, skiing, hiking, snowshoeing and the locations where such activities take place. Slips and falls may occur, as may rocks, ice, or other objects fall from above. Wintry environments present the constant threat of avalanches and crevasses; snow stability is incredibly difficult to predict and avalanche danger is present on all types of terrain. Weather may change suddenly, bringing with it severe hot or cold, lightning, and precipitation. Participants should constantly self-evaluate their comfort and physical suitability for activities. Hot and cold related injuries such as hypothermia, frostbite, dehydration, heat exhaustion, and heat stroke present a constant threat; traditionally correlated hot injuries can occur in cold environments, and vice versa. Likewise, acute mountain sickness, cerebral and pulmonary edema, and other altitude-related issues can occur at any altitude, particularly for those living at much lower altitudes than the activities taking place. It is up to the Participant to monitor themselves and raise concerns with Paradox. Nearly all of these activities rely on the use of equipment. Paradox undertakes reasonable measures to ensure its equipment is serviceable and suitable for use. However, it makes no warranties as to the condition, suitability, or proper use of said equipment. Any equipment can malfunction. Participants should inspect all equipment themselves and, as always, not hesitate to raise concerns with Paradox. I acknowledge these risks, that this list is far from exhaustive and merely exemplary, and that the staff of Paradox has been available to me to explain the nature and demands of my program and the inherent risks, hazards, and dangers. I understand that I am the best judge of my own abilities and experience level, and that I, not Paradox, am responsible for the consequences of activities I choose to perform. I assume and accept full responsibility for myself for bodily injury, death, and loss of personal property and expenses as a result of these risks. I thus certify that I have no physical or mental condition that precludes me from participating in the Programs and that I am not participating against medical advice. I certify that I am fully capable of participating in this activity. 4) TO INDEMNIFY Paradox from all liability for any loss, damage, injury, death, or expense that I (or my next of kin) may suffer, arising out of participation in the activity and use of equipment. The Participant, and the Participants parent(s) or legal guardian(s) if Participant is a minor, hereby agrees to submit any dispute arising from participation in the Programs to binding arbitration. Submission shall be unlimited. For such disputes, there shall be a three-member arbitration panel, consisting of two party-appointed arbitrators (one appointed by each party) and one neutral arbitrator (collectively, the Panel) to be chosen by the party appointed arbitrators. The neutral arbitrator shall be an officer or director of any entity that operates an outdoor guide service offering the same type of Program from which the dispute arises in the United States. In the event that the two party-appointed arbitrators are not able to agree on a third, neutral arbitrator within 20 days of their appointment, the neutral arbitrator shall be appointed by the United States District Court, for the District of Colorado, utilizing the selection criteria for the neutral as set forth above. Each party shall pay its own costs, including the costs associated with the party-appointed arbitrators, and the parties shall share equally the costs associated with the neutral arbitrator. The arbitration proceeding shall proceed in the county and state in which the Programs occurred and shall be governed by the Federal Rules of Evidence. The Panel shall establish a reasonable and appropriate discovery schedule to expeditiously resolve this matter. As a threshold matter, the Panel shall confirm whether the Waiver and Release contained in this Agreement are enforceable under applicable law. Participant hereby grants to Paradox, its representatives, and employees the right to take photographs and video of Participant in connection with Participants participation in the Programs. Participant hereby authorizes Paradox to copyright, use, and publish the same in print and/or electronically. Participant hereby agrees that Paradox may use such photographs and video of Participant for any lawful purpose, including but not limited to publicity, illustration, advertising, and Web content. I HAVE READ AND UNDERSTAND THIS AGREEMENT AND I AM AWARE THAT BY SIGNING THIS AGREEMENT I MAY BE WAIVING CERTAIN LEGAL RIGHTS, INCLUDING THE RIGHT TO SUE. Parents or Guardians must also sign if the Participant is UNDER 18. 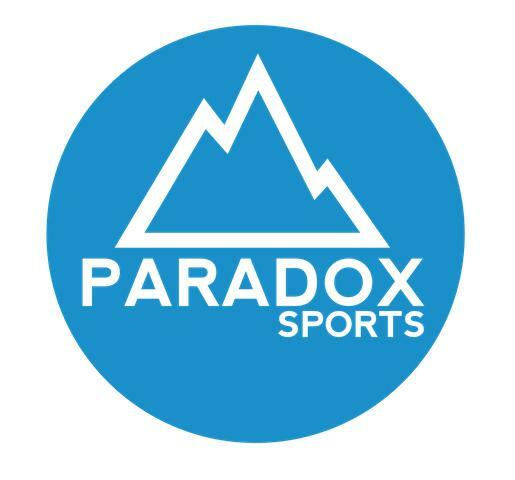 Check here to receive the Paradox newsletter which includes event and other announcements!